Not everyone will have experienced depression and anxiety, although 1 in 4 will struggle with their mental health in their lifetime, and in order to raise awareness, everyone needs to understand mental illness. It can be hard to support something that you don’t relate to, therefore I will share my experiences in an attempt to shed some light on mental illness. 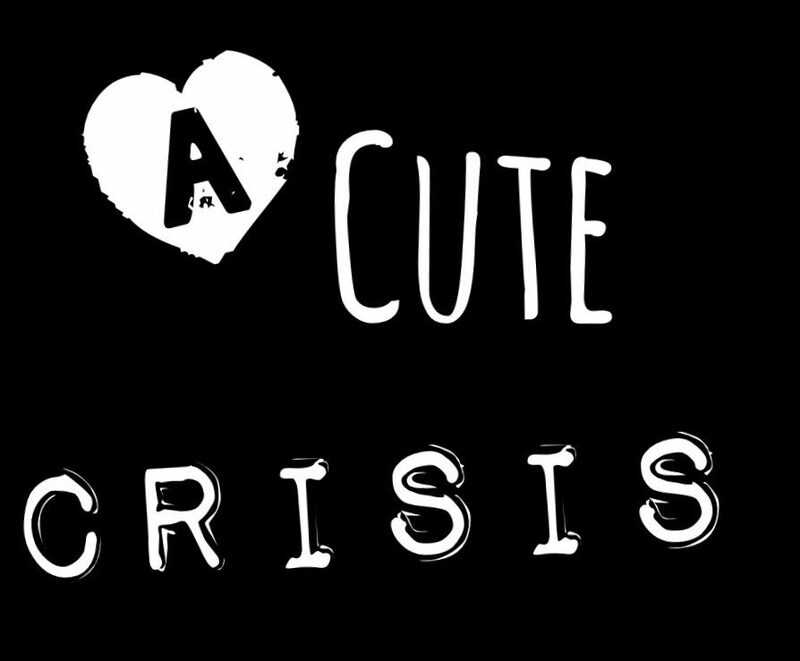 Acute Crisis is when a person is undergoing extreme mental illness, that is really affecting their day-to-day life. Luckily, I am no longer in acute crisis, as it was a horrific time in my life. My exams for University were held in early December and I have never been so unprepared for anything. I couldn’t look at my computer screen – the brightness was making my nausea even worse – so as all my friends where studying in the library, I was lying on my bathroom floor. The cold tiles kept me cool whilst I was close enough to the toilet to be sick at any time. I was refusing to sit my exams as I was terrified to sit in the exam hall – I didn’t want to vomit in front of my whole year at University. But I managed to pass my exams, even though I rushed through them and had to take breaks to run my wrists under the cold water, in an attempt to calm down. This was the beginning of my anxiety and depression rendering me unable to function. Luckily, I had a Christmas break and I only had to work once a week – I spent this holiday doing nothing except trying to make it through the day. After a sleepless night, I would be woken up by a churning feeling in my stomach – dread would knot tightly before I was even awake. I would then be forced out of bed by my mum, I would put on leggings and a bra – it was Winter but I was roasting – and I would lie on the couch. Whilst lying on the couch, I would be “watching” a TV show (I couldn’t concentrate on anything), chewing gum and playing a game on my phone – I desperately tried to distract myself from the racing thoughts in my mind. It is quite an indescribable feeling to be severely anxious, almost as if you are running up the stairs in the dark as a child, but you never reach the top – you’re just stuck there, frantically trying to escape. I couldn’t eat, it was almost physically impossible. Whenever I did eat something, I would be sick anyway – I would even vomit after a sip of coffee. Imagine having a stomach bug but instead of knowing you would be better in a few days, you knew that the cause of your illness was your own mind and you could stay like that forever. It’s terrifying to believe you are losing your mind. My clothes began to hang off of me, everything was too big. I wore clothes that I had kept from when I was 12. It was uncomfortable to lie down as my bones stuck out; being underweight made me look even more ill. I struggled to walk, I moved painfully slowly and my body scrunched up as I was so weak. I had become so unwell in my mind, that it had a physical toll on my body. I couldn’t sleep, my mind would not be quiet. I got out of bed every few minutes to be sick. I was too warm – with no heating on in Winter – I soaked a flannel in cold water and lay it across my chest every night. I prayed for this to go away, I prayed to be normal again. But the sun would come up, and I would spend another day struggling. I don’t even know how long I spent like that, all the days blurred into one, and I did the same thing everyday. I thought I had died and went to hell. It seemed an eternity. I went to work. On the way out of the door I was sick, but I went to work; I thought the day would never end. My life felt unbearable. The fluorescent lights stung my eyes, my trousers would not stay up and I didn’t eat all day. When I went home I sat on the sofa shaking; I had no idea what was wrong with me but I knew that I couldn’t live like that. I drank herbal tea then went to bed; I lay awake feeling hopeless, desperate and too exhausted to even cry. I went to the doctors. I dashed to the toilet, as my nausea peaked, while I waited for the doctor to call my name. “You can’t get Beta blockers, you’re asthmatic”, the doctor said. I couldn’t continue living like that, it was inconceivable – something had to change. “But I need something”, I put my head into my hands and leaned against the desk in sheer desperation. “I’ll give you diazepam”. Diazepam is a rarely prescribed medicine, I couldn’t bear to think how ill I had become. I tried the diazepam while I wrapped my Christmas presents. This time was literally the Winter of my life. I waited it out; it **only** takes six weeks for antidepressants to have an effect. I didn’t recover immediately, however, I slowly gained my physical and mental strength back. Each day was a struggle, but every time I reached a milestone in my recovery I celebrated. The first time I went on a train; the first time I felt hungry; the first time I went to work without diazepam and the first time I admitted what was wrong with me. Days rolled into months, I blinked and it was September – I couldn’t leave the house and now I’ve went on three holidays abroad. And I have recovered, not fully, but to the extent where I can live my life, whilst actually enjoying it. I hope this has given some insight into what living with severe mental illness can be like. It completely consumes you and you can’t live normally – it’s not an exaggeration, it’s the truth. It is exhausting, it is frustrating and it is distressing, however, it doesn’t need to be permanent. You can recover and, if you want to, you will recover. I am so appreciative that this dark chapter of my life is over, and I am thankful for what it taught me. It proved my strength, my determination and my bravery, whilst providing me with endless amounts of compassion. I’m not the same person that entered the storm, I am a much better and wiser person – but maybe that’s what the storm is all about.